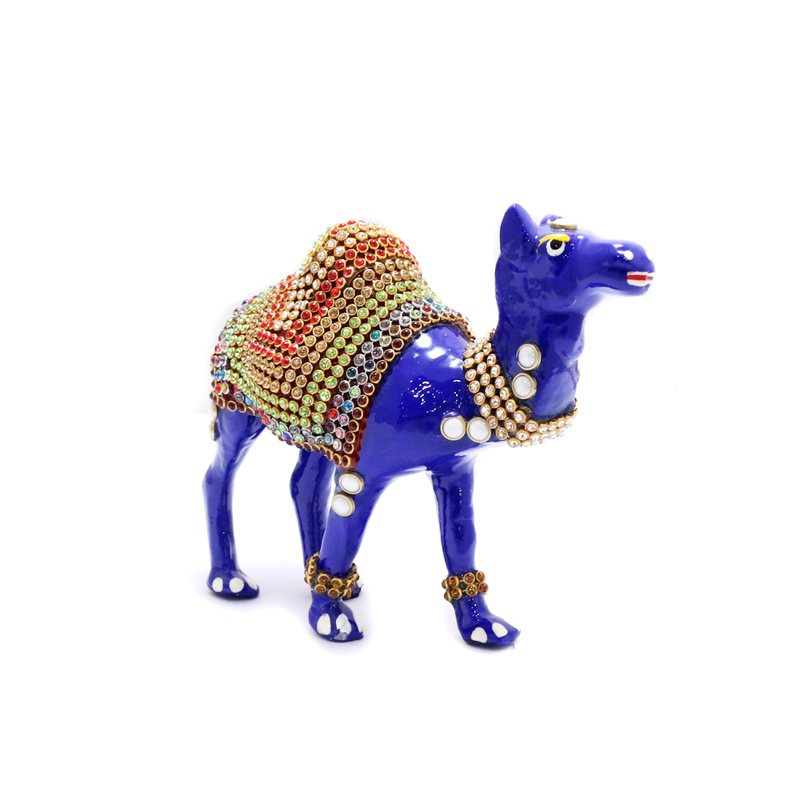 With a royal blue colour, this camel maintains a standing posture. 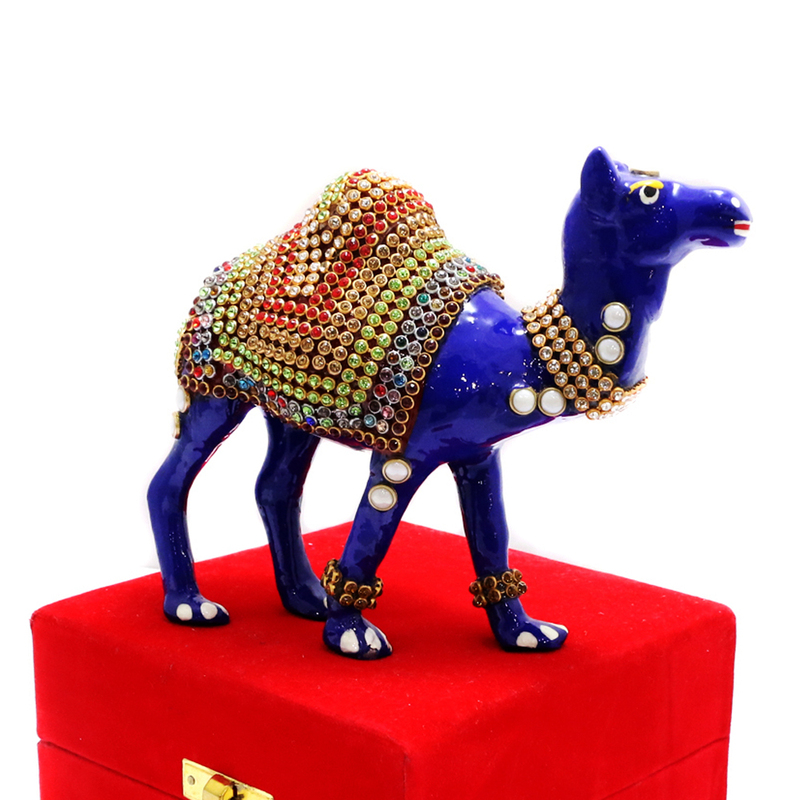 The body of this showpiece has a rich stone as well as meena designs. 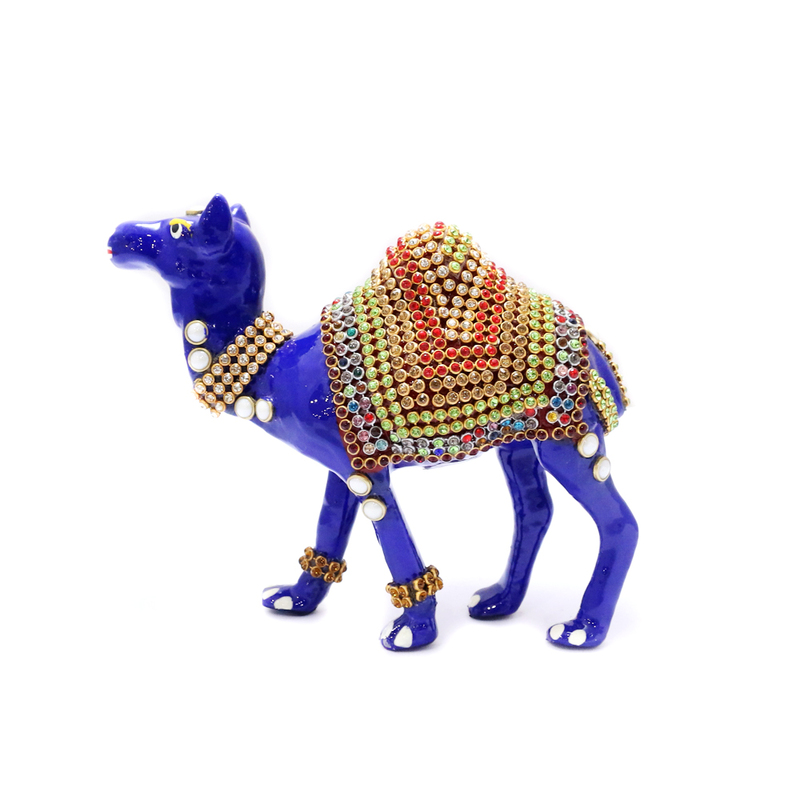 Read More..The camel also has some white dots at specific places throughout the body. This could easily sit in your drawing space and attract visitors. Show Less..